At Campingplatz Am Gederner See in Gedern (Hesse) camping costs as little as €20,- per night during low season with CampingCard ACSI. At one of the 157 touring pitches you will get a discounted rate during the period 01-01-2019 - 29-05-2019, 31-05-2019 - 07-06-2019, 10-06-2019 - 19-06-2019, 23-06-2019 - 01-07-2019 and 01-09-2019 - 31-12-2019. At this campsite you can not only use your CampingCard ACSI for inexpensive camping, you can also use your ACSI Club ID (as an alternative ID). Very spacious family site located on a lake with sandy beach. Ideal for swimming, cycling, mountain biking, hiking, fishing and paddle-boating. Near several cycling routes, for example the Vulkan Cycling Trail and the Bahn Cycling Trail Hesse. Close to the 'Hoherodskopf', which includes a treetop adventure park. 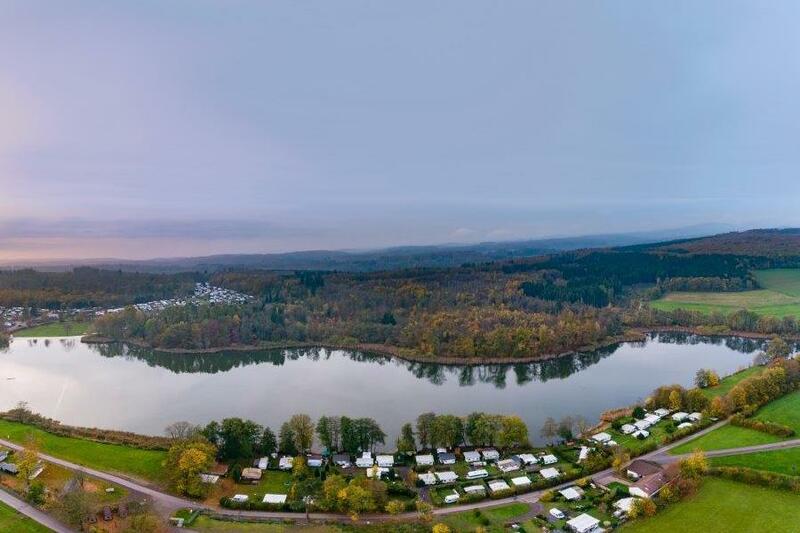 Would you like to book Campingplatz Am Gederner See or request more information? You can do both using the information below. A45 Frankfurt-Giessen, exit 38 Florstadt. B275 direction Lauterbach, then exit Gedern. From Gedern, follow signs (approx. 1.5 km in north-westerly direction). CampingCard ACSI will send your information request to "Campingplatz Am Gederner See".